With luck, carp are feeding off bottom at the moment, but not necessarily just under the surface, and a bait fished hard on the deck can fail to catch. 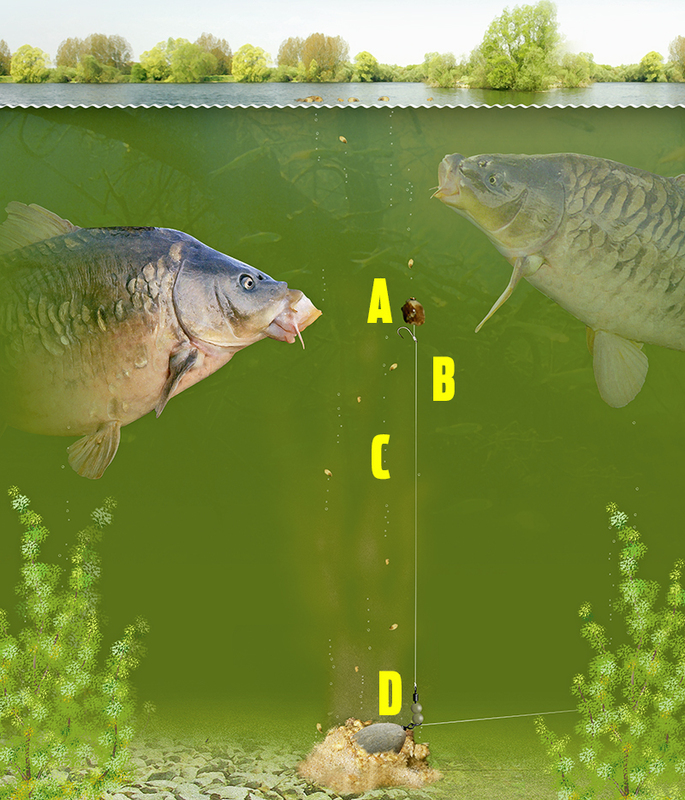 What you need is something that can be placed at varying depths off bottom to pop a bait right in front of carp swimming around. A pop-up boilie is king in this instance. But what do you feed? Sometimes, nothing is needed, relying on just the power of the pop-up to get a take, but when some bait is called for it should be kept tight and to a minimal amount. That’s where the PVA bag comes into play. Tightly packing a PVA mesh bag with both sinking and floating pellets and making it the size of a £1 coin, the bag can be either nicked on the hook or wrapped around the lead with PVA tape and cast as far as you need it to go. When the rig settles, the bait will pop up and the bag will dissolve, releasing those goodies. By using a four seasons-style PVA, the bag will dissolve even in cold water. For the hook, bright is best and lurid-coloured pop-ups are favoured. Fluoro pink, yellow or white are all good choices, using a 12mm or 14mm bait on a hair rig, although large pellets can also score, especially when used in conjunction with pellets in the bag. B) How far off bottom? This is open to choice and can change throughout the day, but a starting length of 2ft is advised, altering this if no indications are forthcoming. Sometimes, a change in depth by as little as 6ins can trigger a change to a bite every cast. This alteration is normally made by lengthening the trace to pop the bait up even more. Fluorocarbons are popular among carp anglers for this purpose as they’re hard for fish to see underwater.Korda’s IQ2 remains a big seller. In terms of strength and breaking strains, 10lb to 12lb will work on most ‘runs’ waters, upping that to 14lb or heavier if the swim is snaggy or the fish very big. For simplicity and ease of use, fish a running rig with the lead stopped by a rubber bead before the swivel. This will produce a more positive bite on the rod-tip or bite alarm, and it also keeps within the rules of many fisheries.